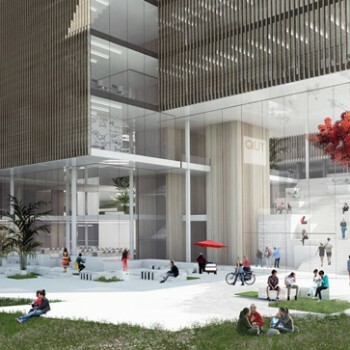 Working in collaboration with local practice Wilson Architects, Henning Larsen Architects has been chosen to design a flagship educational precinct for Queensland University of Technology in Brisbane. 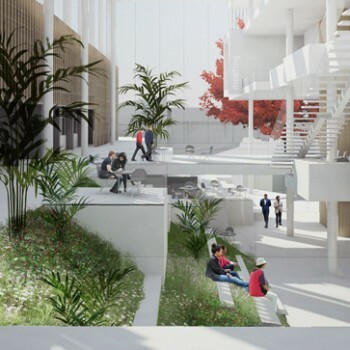 Once complete, the building will offer a connection with the existing library as well as the surrounding landscape, providing a range of environments suited for studying, teaching and socialising. Meanwhile, extensive landscaping — developed alongside Taylor Cullity Lethlean — sees the creation of a new pedestrian hub for the campus and forms strong connections with the neighboring community. “This project will be a flagship and transformative development for QUT, offering new teaching and learning opportunities in a stimulating and sustainable world-class environment,” added Hamilton Wilson, Managing Director, Wilson Architects. The $52.7 million USD precinct will form part of the Kelvin Grove Campus, located 3.5 outside of Brisbane’s city center. Instinct Furniture BLOG, mostly about cool libraries, furniture and design – keeping you abreast of our world. (Source: Designboom. All images courtesy of Henning Larsen Architects / Wilson Architects). Extensive landscaping sees the creation of a new pedestrian hub. 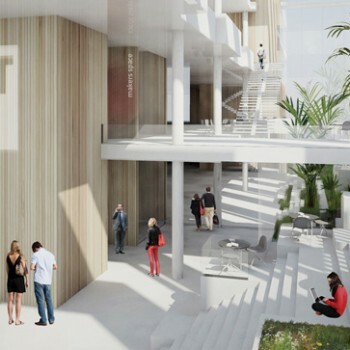 The design provides a range of environments suited for studying, teaching and socialising. 'This project will be a flagship and transformative development for QUT' Tthe-precinct-will-form-part-of-the-school’s-Kelvin-Grove-Campus.